All of PortAventura World’s characters say goodbye in the streets of Mediterrània. All of them are ready for the day’s great parade, the Christmas Parade! The most traditional characters of this time of the year fill the Main Street to present a magical parade on board their magnificent Christmas carriages! Christmas joy fills the streets of Mediterrània in PortAventura. At the end of the day each and every corner of Mediterrània comes alive with the spirit of Christmas. As day turns to night, Mediterrània illuminates its streets with Christmas lights as all of PortAventura’s artists and characters take over to delight those who pass through the area with their talent and rhythm. For a wonderful festive experience, the most lovable and traditional Christmas characters take over the main avenue of the park for a magical parade with a marvellous selection of Christmas tunes. 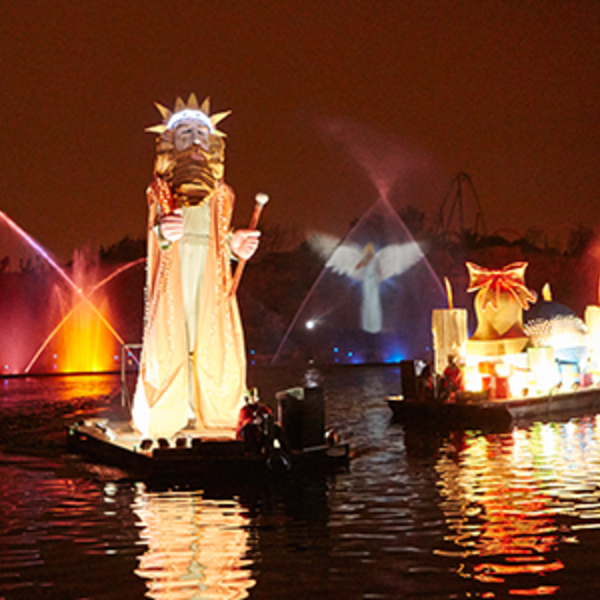 They will all fill PortAventura Park’s Christmas with colour to await the royal pages. An unforgettable experience for you and your loved ones! Think no more and join us to enjoy the Christmas Parade. The whole family will have a wonderful time admiring the Christmas decorations as well as the fabulous costumes worn by the characters and artists and of course all of the floats taking part in this show. They will all parade and dance together through Mediterrània with fantastic choreography, electrifying songs and an impressive final dance on the stage of the Teatro Principal, wrapped up in a unique Christmas atmosphere. 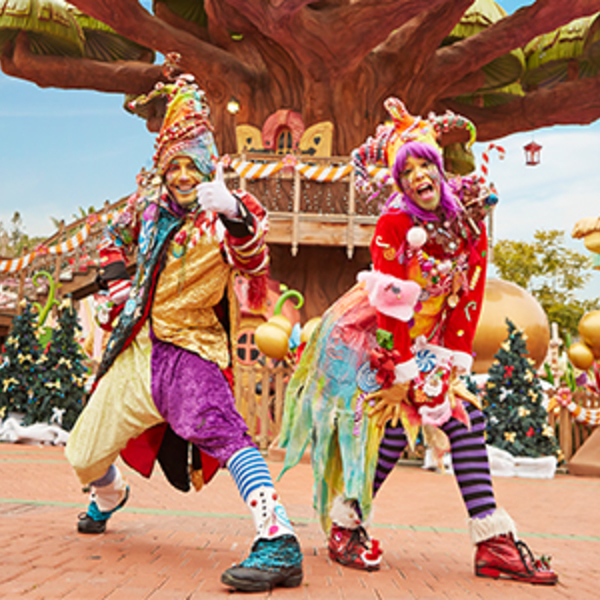 A chance to see all of the characters together celebrating the most fun Christmas ever is a fantastic way to end your day in PortAventura Park. Make sure you take a look at the Christmas shows timetable so that you can plan your day in PortAventura Park and not miss a single thing. Check out the special offers on our website for Christmas at PortAventura World and book your visit at a great price. 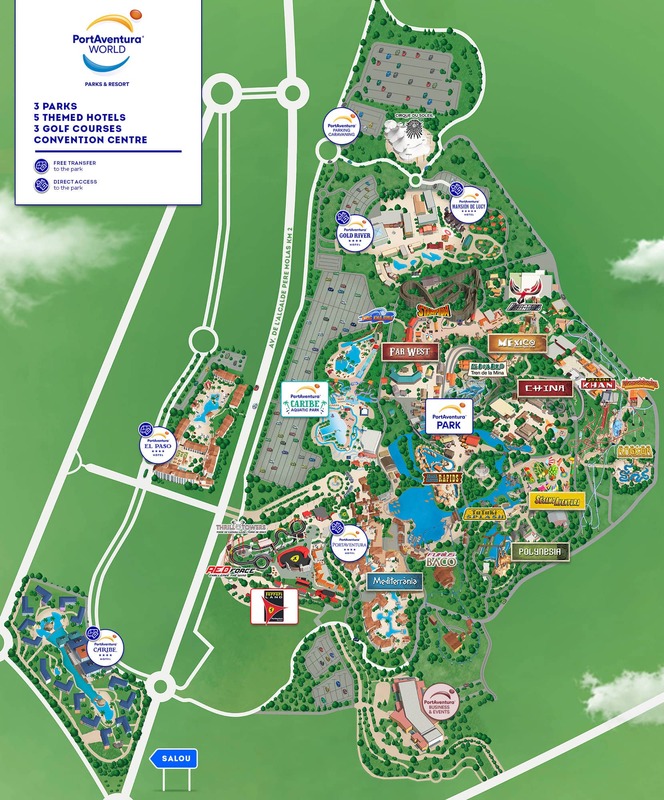 See promotions on hotels with tickets to PortAventura Park and one day access to Ferrari Land included!